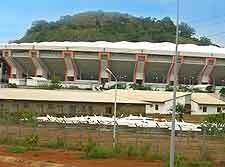 Abuja is considered to be one of the wealthiest cities in Nigeria. The Nigerian capital city also has a reputation for being hospitable and friendly, all of which make it a great place to spend a little time during your stay in Nigeria. 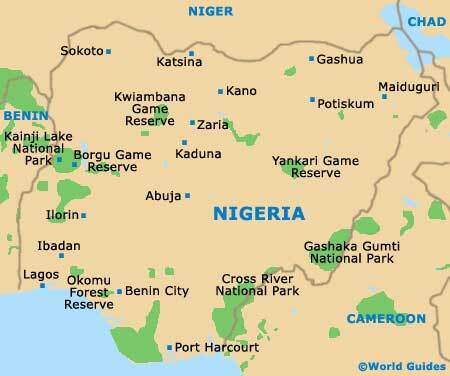 The city of Abuja officially became Nigeria's capital in December 1991, although the move from Lagos to Abuja was planned as far back as 1976. As a purpose-built city and administrative seat of Nigerian government, planners allowed for plenty of room for development. Sadly, however, the vision of the new city has not entirely been matched in reality, with slum areas rising up among Abuja's new modern buildings. Abuja may be the capital city of Nigeria, but it's still relatively small in comparison with other cities, such as Lagos. Abuja's modest population of 800,000 and compact size certainly make it easy to get around when sightseeing. The fact that Abuja is a planned city also helps. Further phases of development are planned for the future. Abuja has five districts within the city boundaries. Included in these is the Central District, which is situated between Aso Rock and the southern ring road. Garki, in the south-west of Abuja centre, is seen as the main business area of the city and contains the Garki Shopping Centre, as well as various banks and offices. Wuse, to the north-west of the city, is where you will find the Sheraton Hotel and the main market. Maitama, in the north, is an exclusive area that is popular with the city's wealthiest inhabitants, along with many of the European embassies. Finally, Asokoro, in the east of the city, is a sought-after place to stay and is home to many of the city's politicians. 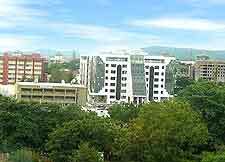 The city centre is surrounded by the Greater Federal Capital Territory of Abuja, which includes five suburban districts. Abuja is fortunate in having plenty of natural attractions within easy reach, as well as cultural and tourist destinations, so there's lots to interest everyone. 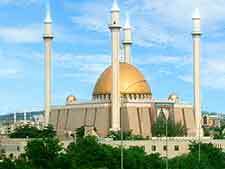 In the city itself, modern buildings abound, including the National Mosque and the headquarters of the Central Bank of Nigeria. Children and adults alike will be well-entertained at the Abuja National Children's Park and Zoo, while nearby attractions include Zuma Rock, the Gurara Falls and the Usama Dam.